Churchill Downs Racetrackand University of Louisville student philanthropic group raiseRED today announced a partnership to highlight and raise money for raiseRED at the September 19 Downs After Dark presented by Stella Artois & Jack Daniels. raiseRED is a student run organization that supports pediatric cancer research and the children, families and doctors fighting pediatric cancer at UofL. Churchill Downs Racetrack will donate to raiseRED $2 of every General Admission ticket and $3 of every reserved box or dining ticket sold for Saturday’s Downs After Dark at http://www.churchilldowns.com/raiseRED. All funds raised by raiseRED will go to UofL’s Division of Pediatric Hematology & Oncology in the Department of Pediatrics. 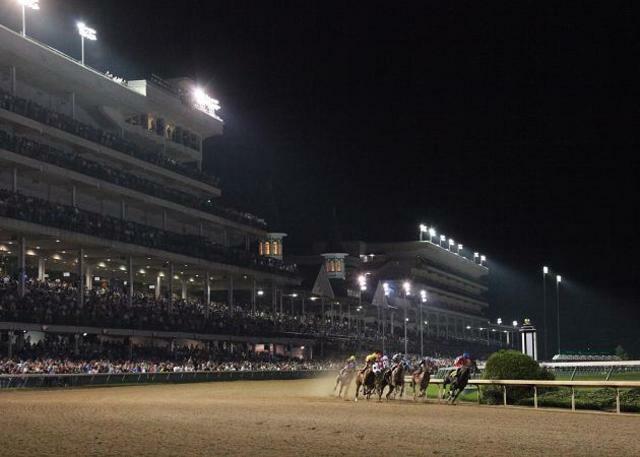 Churchill Downs is offering two new seat packages for the event. The new Courtyard package for $69 offers 21 and older trackside seating and hospitality and includes wine and draft beer from 7 p.m. to 11 p.m., small plate food and a racing program. The new VIP Winner’s Circle Suite Package offers reserved seating for groups of 12 to 18 and includes all Courtyard amenities and personal in-suite food and beverage service. General Admission is $10, reserved box seats are $20 and dinner on Millionaires Row is $70.